It's time for another contest at racketboy.com! For this contest we will actually have multiple winners due to the generosity of O'Reilly Publishing. The prizes for this contest are centered around Retro Gaming Hacks by Chris Kohler. I will be doing a full review of the book shortly, but it looks to be filled with great ideas on making the most of old games and consoles. 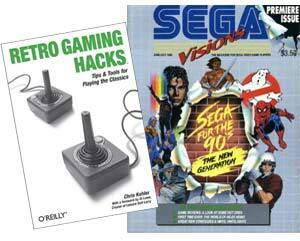 There will be three winners for this contest, each of which will receive a copy of the Retro Gaming Hacks book, but the 1st prize winner will also win a copy of the very first issue of Sega Visions magazine. So how do you enter for a chance to win these prizes? All you need to do is write 2 to 3 paragraphs about some of the most popular NES, Genesis/Megadrive, SNES, or N64 games and post it here in this forum thread. Each game you write skillfully about will qualify as one entry into the random drawing. If your writing is especially good, it may qualify for multiple entries. You can submit as many entries as you would like. After the April 30th deadline, I will draw the user name of an entry at random to choose the winner. If you had more than one entry in the last contest but didn't win, every two entries will be converted into a bonus entry for this contest. This will also continue on with the next contest. Entries must be at least 250 words long. (MS Word has a word counter, if you need it). The selected game must be one that somebody else has written about (first come, first serve). You can reserve your game selection (one reservation at a time per person) by posting the title in this thread and then you can edit that post to include your entry. Those that I deem very well though-out and well-written will receive a bonus entry into the drawing. Obviously, the more entries you have, the better your chances of winning. At the same time, it only takes one entry to win. As another added bonus, any user that does not win this contest will have extra chances to win towards the next drawing. For every two non-winning entries from this contest, you will have one extra entry thrown in towards the next contest. Disclaimer: All entries become property of racketboy.com and can be compiled into future article and features without further permission. Last edited by racketboy on Tue Feb 12, 2008 11:58 am, edited 7 times in total. I reserve Goldeneye 007 for N64. I am a faithful follower of Samuel L. Jacksonism. Just like women and the left over food in your refrigerator, most games don't age very well. Improvements in technology, changes in taste from the general public, and switches in direction from video game companies have killed many a so-called "classic." And then there's Excitebike. More than 20 years have passed since Excitebike became an early release for the NES and it still plays like it's brand new. The graphics are anything but realistic and the sound effects have a bad tinny sound to them, but the game is just pure, unadulterated fun. The premise of the game is unbelievably simple, as you control an 8-bit "man" on a motorcycle, and (like all racing games) you want to reach the finish line before your opponents. The game scrolls horizontally and you move your character along the y-axis (that's up and down for the non Math wiz) to avoid enemies and stationary obstacles. There are two modes of play. Mode A allows you to race alone so that you're attempting to beat the clock. Mode B adds computer controlled characters to race against and most likely crash into. Hit them from the back and they fall over, while they can do the same thing to you. A cool track editor (albeit an archaic one) rounds off the package and adds a lot of replay value. It actually works quite well, offering the ability to add just about any hill, bump, or patch of dirt available in the game. The lack of a way to save your custom made tracks is really the biggest flaw. Overall, Excitebike is a true classic that just about every NES owner and/or Nintendo fan should have. Last edited by Abras on Mon Apr 16, 2007 8:17 am, edited 1 time in total. There are a few games that despite being over a decade old still fetch prices at or above their original retail price. If you need an example of why these games are still popular you need only play Chrono Trigger. The game was released in August of 1995, very late in the Super Nintendo's life, and showed many signs of the genre's evolution, such as multi-character combo attacks and multiple endings. The game starts out in 1000 AD, but due to a teleportation mishap you travel to multiple eras and pick up most of your playable characters along the way. This lends itself to many varied locales and characters and the game does not fail in this regard. The graphics are among the best on the system with character designs by Akira Toriyama, character designer for Dragonball and the Dragon Quest games. Music is by Yasunori Mitsuda(Xenogears/Shadow Hearts) and Nobuo Uematsu(Final Fantasy) and much of it is very memorable and takes full advantage of the SNES synthesizer. Many times I stopped and put the controller down just to sit and listen to the music for a while. The game is relatively short and a bit easy but the fun aspect more than makes up for this. The battle system is familiar enough to let you jump right in but different enough to keep you interested. The plot is neither as simple and hackneyed as many early RPGs nor as convoluted and melodramatic as many recent RPGs. 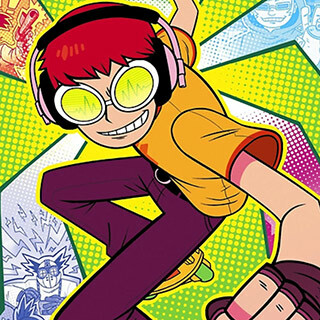 If you like Squaresoft games you can’t go wrong with this one. Good luck finding it for under $50, though. The game play? There are ducks. They fly around. You shoot them. Then there are more ducks. Is there more? Yes. You can shoot clay pigeons. They fly too. Perhaps you sense a theme here. If you’ve been living on the moon and have never played Duck Hunt perhaps there are other gun games you might want to try. Games with more substance. Then again, though, maybe it is all about shooting the ducks. After all, ducks are evil. I'll do F-Zero, SNES. Ta. It was the late 80's, and everything seemed to be going great for Nintendo. The NES had become a huge success, virtually obliterating what competition there was. And then the competition went and made new systems (the NEC Turbo Grafx/PC Engine,and the Sega Genesis/Mega Drive). Nintendo originally had no intentions of a new console, but maybe the “Genesis Does What Nintendon't” advertisements finally got to them. So the Super Nintendo was launched and with it came one of the greatest games of all time. My personal favorite in the series, SMW keeps the same basic formula as it's predecessors, but adds enough new and improved features to become the pinnacle of the 2D versions. The graphics are probably the most noticeable improvement and proved that Nintendo could do “sixteen bit arcade graphics” too. The addition of Yoshi is also to be commended, but what really sticks out for me (and propels Mario World ahead of it's 8-bit cousins) is the length of the game. While most platform games today are often categorized as “Adventure”, or “Action Adventure” games, Mario World is one of the few games that actually feels like an adventure. The game's 72 enjoyable levels are just the tip of the proverbial iceberg. Many of the levels feature multiple exits (there are 96 exits in all), which lead to different levels on the world map. Devoted fans will spend many hours uncovering all of the secrets. After all, how happy were you when you first uncovered the “Special” zone, and died twenty times playing “Tubular”? Last edited by Abras on Wed Apr 18, 2007 11:56 am, edited 1 time in total. The Mega Man series for the NES has always held a special place with me and my gaming hobby, and holds many distinctions. The series is one of the few sets of games for the NES that still play as well as they did initially, and it's also one of the few series I actually like from Capcom (Viewtiful Joe being another). Mega Man 1 is also one of the few NES games I've beaten without aid (ie save state feature on an emulator), as a friend and I spent all day some years ago passing the controller back and forth, determined to finish it. IGN recently named the series as #2 in their “Hardest Games to Beat” feature, so I consider that something to be proud of. Nostalgia might have gotten the best of me there, but even the most objective observer can't help but enjoy this series. What's not to like about fast-paced platform shooting, complete with robot bosses and inventive gun power ups? Each game is essentially the same, with the ability to slide around and charge your gun being the only major changes. But why change something that sold well, and was such a hit with the public? Sure, the cover art for the first game may have been awful (featuring what looks like a 40 year old man in a Mega Man suit in front of a psychedelic background, complete with palm trees), but the developers obviously put a lot more work into the gameplay. Last edited by Abras on Wed Apr 18, 2007 11:57 am, edited 2 times in total. Altered Beast was one of my favorite Sega games. It was simple and to the point. Zeus’ daughter Athena has been captured by some wizard with a bald head and it’s up to you to save her. Right off the bat you’ve got Zeus telling you to “rise from your grave” and get to work. Punch, kick, jump, these are only things you need. You could go it alone or get a friend for the two player cooperative mode. Central to the game was the way you powered up. To gain strength you had to defeat special blue Cerberuses and grab little blue floating orbs that emerged from their corpses. They always looked like giant pigs to me but the manual claims they are wolves. Instead of just some meter filling up on the side indicating you had powered up the game offered strong visual and audio cues. Your character would stop moving for a second while a deep voice would intone “power up.” It has to be heard to be appreciated. While the first power up would only give your attacks a strange blue aura, a little more range, and extra damage subsequent power ups were really impressive. Upon receiving your second orb your character’s unimpressive body would be blasted with steroids and immediately look like a Mr. Universe competitor. Between Altered Beast and every Arnold Schwarzenegger movie in the 1980s I was convinced as a child that real men were all gigantic muscular dudes. As if this wasn’t enough a third orb would transform you into a werebeast. Depending on the level you would become a wolf, dragon, bear, or a tiger. The monsters in Altered Beast were quite a varied cast. You’d start out seeing simple zombies who shambled toward you but soon would encounter boxing monsters who held their own heads in a free hand. Also the body builder zombies with the bright yellow pants were a nice touch. Later levels offered all manner of strange things: giant snakelike dragons, blobs of goo that would suffocate you, flying creatures which attacked you with a giant tongue, creepy insects, boxing billy goats, razor sharp fish, all things which just cried out to be smashed. At the end of level you would face the game’s antagonist who would amusingly welcome you to your doom. Much as you changed into a different beast he would also become some bizarre creature and duke it out with you. I think my favorite was also the first level form, in which his main attack was endlessly ripping his own head off and throwing it at you. You just don’t get that kind of stuff anymore. Altered Beast was quite hard but the difficulty could be mitigated somewhat by holding start and pressing B at the title screen. This would allow the player to add more lives and more health to each life. In my mind Altered Beast is a classic game from the 80s. Anyone with 15 minutes and a yearning for some simple beatemup action should check it out. Last edited by philipofmacedon on Mon Apr 30, 2007 11:51 pm, edited 1 time in total.